'The investigative committee [that is now preparing its report] cannot attribute a crime to a particular minister, but it can describe his responsibilities, which will be evaluated by the judiciary and by the parliamentary committee which will conduct the subsequent preliminary criminal probe,' said a majority MP. The government has decided to cultivate an explosive climate on the road to elections, during which the judiciary will replace politics, and vice versa. The PM’s office has decided to fully adopt the dogma of Alternate Health Minister Pavlos Polakis, who recently told SYRIZA’s Central Committee that the party must “put some people in jail” in order to win the next general election. Thus, it is setting up parliamentary preliminary criminal investigations regarding previous health ministers’ actions, targeting New Democracy and centre-left Movement for Change MPs and former ministers. These cases are distinct from the Novartis scandal, about which an investigation is in progress and in which criminal prosecution is expected. A report in the daily Ta Nea today, a report signed by the majority in the parliamentary investigative committee will recommend the creation of a preliminary criminal investigation committee, which has an investigating magistrate’s subpoena power, to probe the possible criminal responsibilities of politicians. The politicians to be probed are four New Democracy ex-health ministers - Dimitris Avramopoulos (now the European Commissioner for Migration) Marios Salmas, Makis Voridis , and Adonis Georgiadis – and Pasok’s Andreas Loverdos. After an 18-month investigation (which started in April, 2017 with tensions and political skirmishes), the ruling majority members of the committee are poised to ask for a further, preliminary criminal probe of these ex-ministers, setting off a political tinderbox in the framework of a broader strategy of polarisation on the road to elections. According to Ta Nea, the draft report that will be presented to all parties in the coming days will detail the particular responsibilities of the ministers that justify a preliminary criminal probe that will decide whether to file criminal charges or not. “The investigative committee (that is now preparing its report) cannot attribute a crime to a particular minister, but it can describe his responsibilities, which will be evaluated by the judiciary and by the parliamentary committee which will conduct the subsequent preliminary criminal probe, in order to file possible criminal charges,” said a member of the majority who has knowledge of the draft report, which will be discussed case-by-case, as of next week. Former PM Antonis Samaras’ health minister Adonis Georgiadis will be probed for actions in the Hellenic Centre for Disease Control and Prevention and the allegedly illegal hiring of 23 employees. 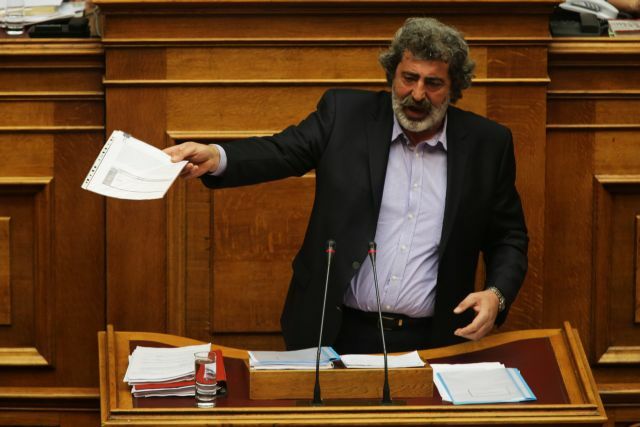 Another Samaras health minister, Marios Salmas, will be investigated on connection with a case involving the overpricing of arthroscopies. George Papandreou’ s health minister, Andreas Loverdos, and Samaras’ health minister Makis Voridis will be probed regarding the process of privatising the Errikos Dunant hospital centre. Avramopoulos will be investigated over the procurement of anti-virus drugs and huge quantities of vaccines (worth 200mn euros), the purchase of thermal cameras to identify passengers with fever at airports, the loans given to the Hellenic Centre for Disease Control and Prevention for vaccines, advertising campaigns, grants, and for the building in which the centre is located.